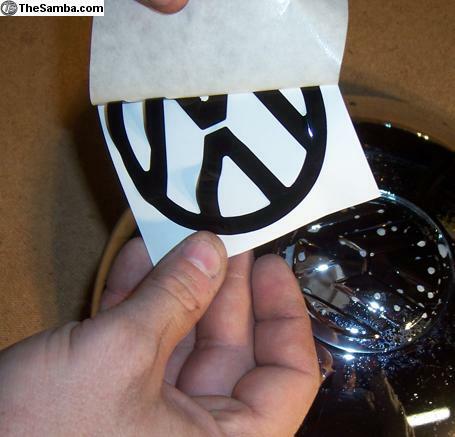 TheSamba.com :: VW Classifieds - VW insert decals for hubcaps HOW TO VIDEO NOW. 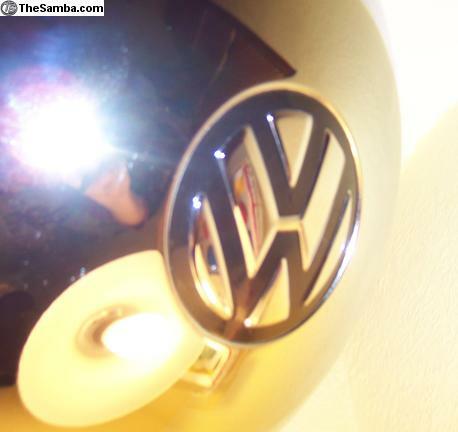 VW insert decals for hubcaps HOW TO VIDEO NOW. Price: $12 shipped! AT LAST! 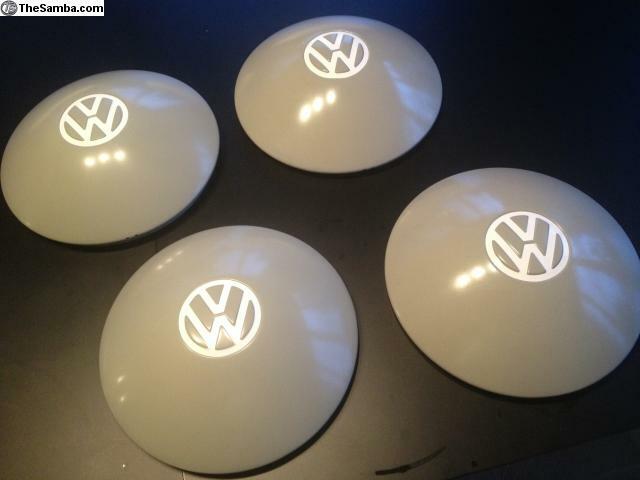 VW insert stickers for German hubcaps! Price: $12 shipped in USA and I can ship up to four sets to Europe and Canada for $1!!!! Watch the video to see how easy they are to install. *For Beetle and Ghia, somewhere around '58 to '64 has black inserts, around '57 and older has color matched inserts. *For Bus somewhere around '64 back with gray hubcaps should have white inserts and around '55 to '64 with chrome hubcaps should have black? 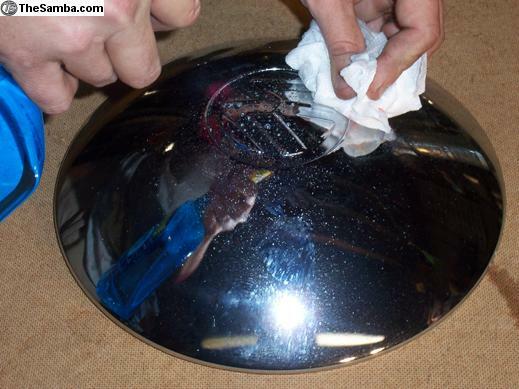 *For Commercial busses and trucks dove blue with chrome hubcaps should have dove blue. *These years are approximate and as I learn I'll update the ad. 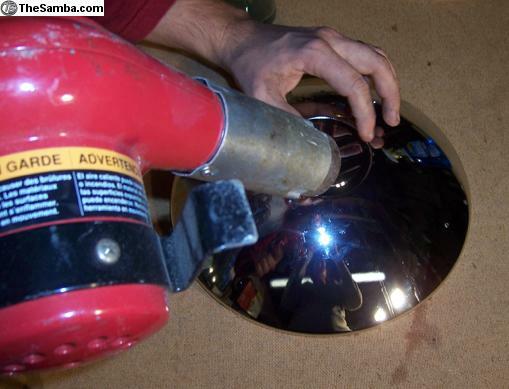 Easy to install and they have kind of a semigloss sheen and are EXTREMELY durable. 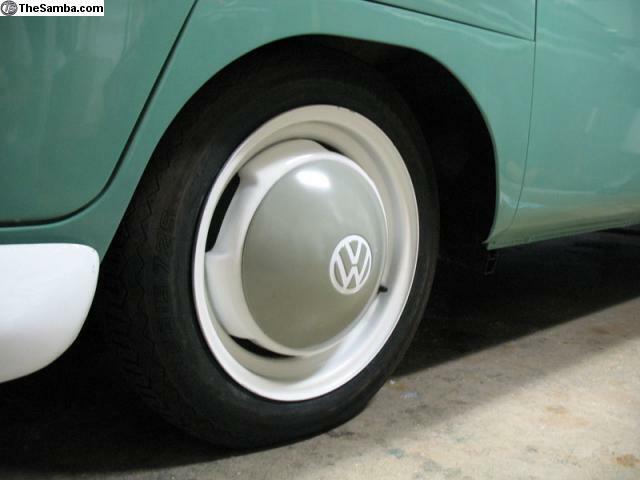 NOTE>>>>THESE FIT GERMAN HUBCAPS ONLY(original or reproduction German including oeveedub chrome and wolfburgwest painted)....The outer diameter of the VW logo must be about (80mm) 3 1/8" or these WILL NOT FIT! 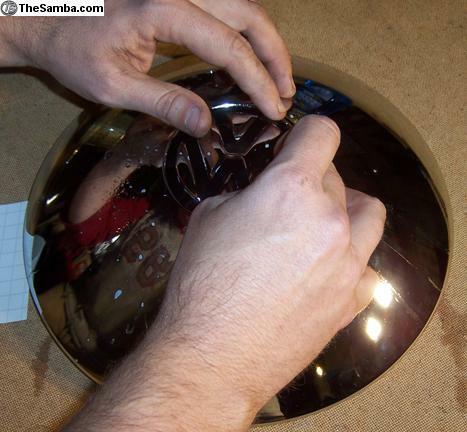 If you have the Brazilian or Chinese(77mm) 3" outer diameter logo there is really nothing that fits well available now.